The week, we’re featuring Fundable companies that are helping to streamline and automate daily life. The companies below have gotten rave reviews from the media and incredible interest from investors and pre-order backers. 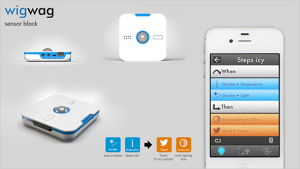 WigWag is a simple, user-friendly platform and suite of devices that allow anyone — from the average homeowner to IT professionals — to connect their automated devices to one platform and easily manage their gadgets. With a surge of products launching that control and monitor daily activities, there was a disconnect in managing multiple smart devices and making your automated life easier to manage. 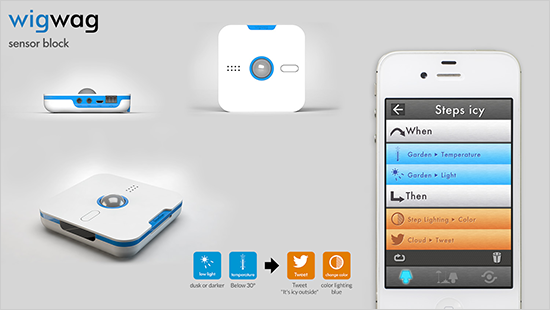 WigWag has closed this gap with their innovative technology and captured the attention of thousands of people worldwide, raising over $450,000 in pre-orders and gathering praise from media outlets like Discovery Channel, Connected World, and Electronic Engineering Times. WigWag is looking to expand their development team, launch premium cloud services, and fulfill purchase orders from Amazon, Smarthome, and NewEgg. Plum allows people to control and monitor their electricity via smartphone from anywhere in the world. Their line of wi-fi enabled Smart Dimmers, Smart Plugs and Smart Outlets makes lighting and appliance control easy and affordable. Since launching last March, they’ve sold over $550,000 in pre-order units and closed a $760,650 funding round. Founder, Utz Baldwin is the former Chairman & CEO of CEDIA, the global trade organization that represents the connected home industry. He served as the face and voice of the industry for over a decade before launching Plum. The team has accomplished some incredible milestones in the past few months, from securing top talent to finalizing their Plum rebrand to enhance their market position. They will be shipping devices to retailers this September. The Goji Smart Lock created by Bielet Inc. allows homeowners to manage and monitor home access from anywhere in the world using their smartphone. Featured on ABC World News Tonight, CNET, and TechCrunch, the ingenious device has brought in over $400,000 in pre-orders. Bielet’s seasoned team recently signed an agreement with Verizon Innovation Lab to develop a new generation of Locks and they are actively engaged in discussions with Home Depot, Walmart, and Staples regarding distribution arrangements. Goji has reached their initial funding goal, bringing in $500,000 from investors to expand their team and introduce follow-on products. Goji is looking for additional partners to expand their round. 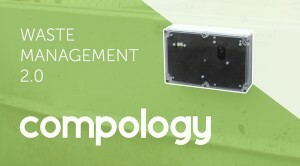 Compology is reinventing the $68B waste industry with a device that tracks and monitors dumpster capacity, enabling waste management companies to re-route trucks efficiently and further automate their process. These actionable insights increase margins by 50% by cutting fuel and maintenance costs, increasing revenues from recyclables, and diverting waste from landfills. Compology received an initial $100,000 investment from top hardware accelerator Lemnos Labs, and was recently selected to be a member of the Verizon Wireless Innovation Program. With over 1,000 dumpsters in queue for deployment, Compology is looking to continue product development and expand their engineering team. Fortunately for personal and calhitabre causes there is Fundrazr, as David mentioned in the article. People who need some assistance with medical and health care expenditures can use it. I was curious too, and I looked it up. There are more details here:I think this is great, as it helps potential donors to give to individuals with more confidence. Maybe there are other crowdfunding companies like Fundrazr, but I am glad to see there is at least this one!